One in 30 American children experience homelessness, and yet educators are often unaware of the challenges these students face. Drawing on a qualitative study of 21 pre-service teachers (PSTs) interviewed at the completion of their early childhood/ESL teacher education program, the overall purpose of this study was to ascertain PSTs’ reported attitudes, beliefs, knowledge, and self-identified skills for working with young homeless children in schools with the goal of identifying opportunities for teacher education programs to better prepare PSTs for work with children experiencing homelessness. Findings suggest that PSTs enter teacher preparation with many misconceptions about children and families experiencing homelessness. Incorporating specific information about homelessness into coursework and supervision, nurturing PSTs’ capacity for critical self-reflection, and creating opportunities for PSTs to develop positive teacher–student relationships with children experiencing homelessness were identified as essential in fostering PST self-efficacy, and, by extension, the resilience of homeless children. 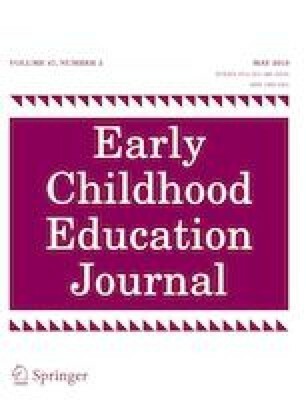 By illuminating the processes through which PSTs make sense of children’s experiences of homelessness and its impacts on schooling, these findings have important implications for the education of young children and the design of professional development opportunities and structured learning for preservice teachers. This work was supported by a grant from the Ineva Reilly Baldwin Wisconsin Idea Endowment at the University of Wisconsin-Madison. Habitat for Humanity (2017). Statement by Habitat for Humanity about the future of the United National Human Settlement Programme, UN-Habitat. Retrieved from https://www.habitat.org/newsroom/2017/statement-habitat-humanity-about-future-united-nations-human-settlement-programme-un. Samuels, J., Shinn, M., & Buckner, J. C. (2010). Homeless children: Update on research, policy, programs, and opportunities. Retrieved from http://aspe.hhs.gov/hsp/10/homelesschildrenroundtable/index.pdf. United Nations Economic and Social Council (2015). Report of the special rapporteur on adequate housing as a component of the right to an adequate standard of living. Retrieved from https://documents-dds-ny.un.org/doc/UNDOC/GEN/G05/117/55/PDF/G0511755.pdf.